Having put the 4 port serial card back into boron, the onboard port now works again, so I’ll probably continue with developing the software. The expansion card still doesn’t work though, so I’ve ordered a cheap 2-port card from eBay in the hope that a different card will work. Before reinstalling the card I upgraded Ubuntu to see if that would help (it didn’t) which brought its own scary moment of the 1TB RAID volume being dead. That too is solved now – the drive letter assignments had changed. 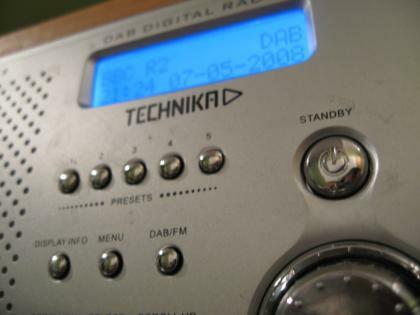 Today I started development of the software to control the whole-house audio system. It’s written in C# and based on the MiniHttpd project – a small but powerful implementation of a web server in C#. However, when it came to testing the first bits of code, I’ve envountered a problem. A while ago I bought a 4 port RS232 serial card to go into boron, because the motherboard only has 1 onboard port which isn’t enough for the UPS, the matrix switcher and probably some other things such as connections to network switches. The new card shows up fine in lspci, seems to be ok when running setserial -gb, but when trying to send or receive data nothing happens. Thinking it might be a conflict with the onboard port, I went into the BIOS and disabled it. Still nothing. So I swapped the card into another machine and re-enabled the onboard port in boron‘s BIOS. Now the onboard port doesn’t work either. I’m going to contact the manufacturer of the card for some help. But for the onboard port I’m completely stumped. It too shows up in lspci and setserial -gb (though only when running using sudo, which wasn’t necessary before) but any attempts to use the port result in various I/O error messages. I was worried that the new card may have killed the serial communication capabilities of the matrix switcher and the UPS, but I’ve confirmed that at least the matrix switcher still works by connecting it to my test machine, iron. If anyone thinks they might know what’s getting on, please get in contact via the comments for this post – I would be very greatful for any help. 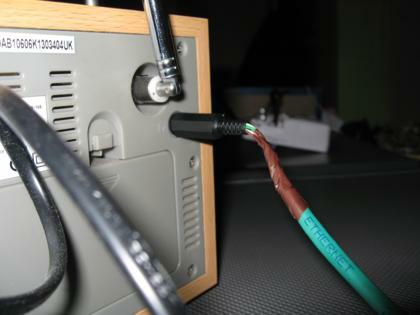 I have just successfuly tested transmission of near-line-level audio over the cat5 cables I’ve recently finished installing. The amplifiers and matrix switcher have been installed for a while, but until now I’ve not performed any tests of sending audio from one part of the house to the matrix switcher, through the appropriate amplifier and out of the installed speakers. 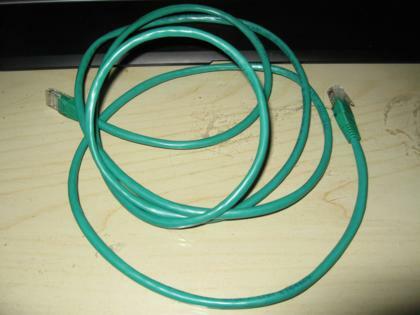 I bought some 2m green cat5 cables off of ebay, but rather than use them as normally intended I cut one of them into two equal lengths. After removing a length of the outer insulation at the cut ends, I attached 2 phono plugs to one length and a stereo 3.5mm jack to the other (with a little help from wikipedia for the correct pinout of the latter). 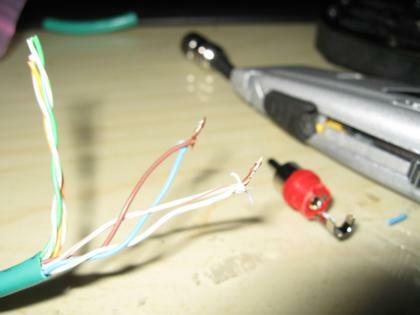 A multimeter was used to verify that there weren’t any shorts – wire-wrapping the connections was a little fiddly – before I plugged the cables in for testing. 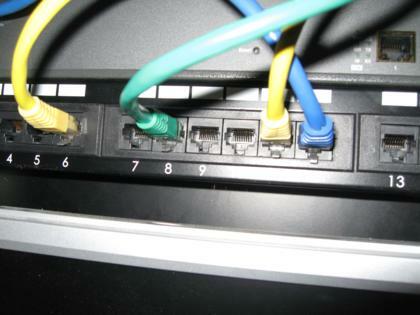 The length with the phono plugs was connected to the matrix switcher and the RJ45 patch panel, and the other length was attached to the headphone output of a DAB radio in the kitchen and one of the 2 ports in that room. The successful test is promising for the completion of this project. I have ordered and bid on 2 more sets of speakers for the dining room and kitchen, and the final amplifier will be ordered soon. The software needs to be written to control the system, but I could probably do most of that in a weekend. A little more hardware in the form of a touchscreen capable low-power computer and an iPod Touch will be required to run the web-based front-end for the software. Then the system should be complete. Look out for a video demo of the system once I’m happy with it!